Last month as I was walking by the Ralph L. Carr Colorado Judicial Center I started to follow the pillars until I found the reflection of the State Capitol Building. 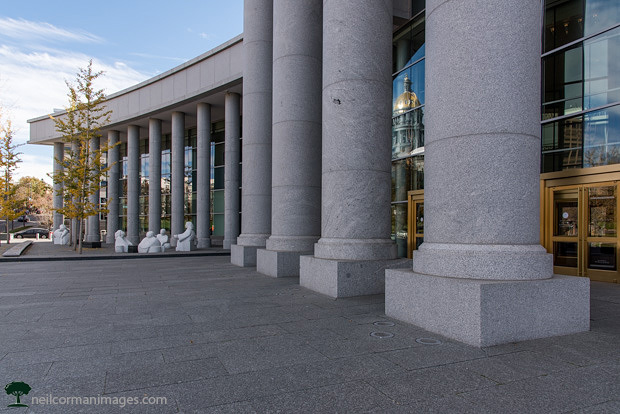 The Colorado Judicial Center was completed about three years ago and is home to the Supreme Court of the State as well as the Court of Appeals. With the design of the new building there is plenty to photograph on the building itself as it sits just south of Lincoln Park in the Civic Center area.